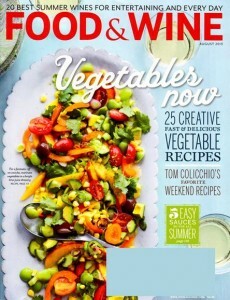 Food and Wine had been a leading guide for food and wine enthusiasts everywhere for more than 35 years now. With informative recipes, wine-related advice and fine dining tips, Food and Wine leaves little to be desired for experts and novices alike. Readers of all levels can find affordable ways to add flavor to their dining with little effort. If you like your wine like me, this is the perfect food mag to compliment it. I`m a happy subscriber of Food & Wine since 2004. It`s the best. I have no doubt about it. Surprising tips every month. Very luminous and delicious.